*boarding time is 6:30am - 10am of the following day. this includes daycare up until 10am of the checkout day. 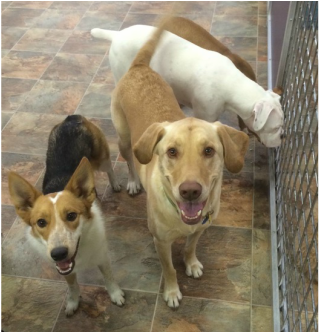 your dog is welcome to stay with us longer, however daycare rates are additional. 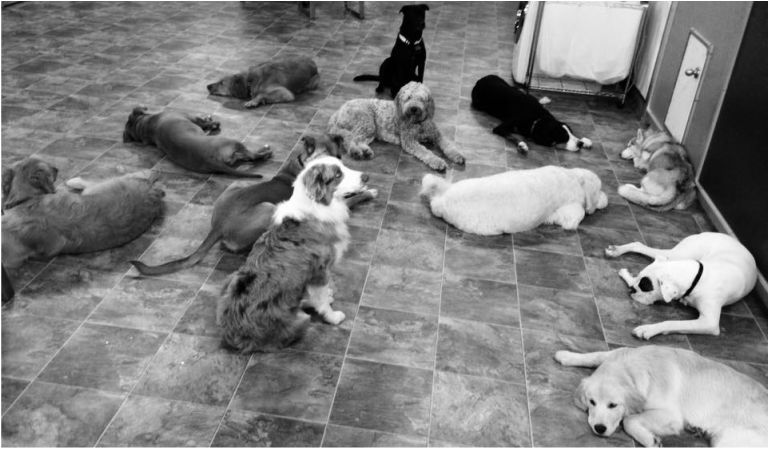 During the day your dog will enjoy safe, closely supervised indoor/outdoor playgroups. 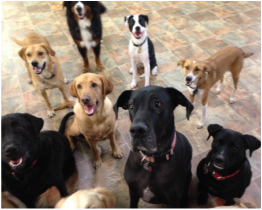 Our off-leash playgroups are focused on fun and the well-being of your dog. 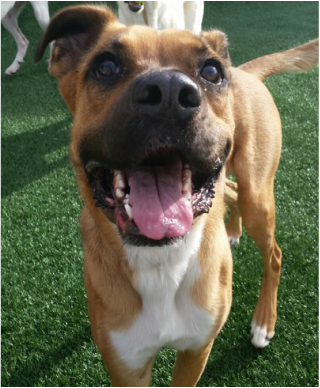 Providing a safe, positive social play experience for your pet is our priority. We are committed to understanding group dog behavior and educating all our staff on safe and humane management techniques. Your dog will love playing with dog buddies of similar size and play style including a Senior Center and a special place for those tiny dogs. During play your dog benefits physically from exercise and mentally from obedience games. We provide pool playtime (only with life jacket), agility equipment to master, toys and of course our trained and loving staff to interact with. Our outdoor area has poured-in-place rubber for comfort, and high privacy fencing ensuring no escapes by your pup. Your pup will also enjoy nap time from 11am - 1pm for that much needed rest and relaxation. We are proud members of The Dog Gurus, the best educational resource available on off-leash dog play, and have taken their Dog Play Safety Pledge as our commitment to keeping your dog safe. You and your dog will love the difference in our playgroups where safety and fun is the measurement of success. Be excited about bringing your furry family member to stay with us and make good-bye brief and happy. They will know the difference and this will reduce anxiety for you and them. will help them feel more secure. If your dog is boarding with us, dinner is typically served at 7pm unless special requests are made (which we would be glad to accommodate). If you bring your own pet food, great, otherwise we serve only small-batch Colorado Natural Pet food and treats. either a private custom kennel, or for those who are able we have boarding in areas outside kennels, equipped with their own toys, blanket, a comfortable bed and always a fresh bowl of water.